The "and other fees" clause is key here. When people get a mortgage, they often obsess over the interest rate alone—say, that 5% extra you'll pay over the life of your loan on that $300,000 you're borrowing. But that's not where your expenses end, and that's where APR comes into play. "The APR includes the interest rate and other charges, which is why it's usually higher than just your interest rate," says Michele Lerner, author of "Home Buying: Tough Times, First Time, Any Time." People tend to think of APR as the "true" amount they pay, because it includes all of the major fees associated with the loan (e.g., closing costs, points, and private mortgage insurance). The APR is also your "apples to apples" number when comparing loans from various lenders, and keeps you from getting tricked into paying hidden fees. If one lender has a vastly higher APR for the same interest rate, that means it's charging you more to get the loan. All that said, the appraisal, credit report, title search, and title insurance should normally be fairly minor costs when compared with the cost of the loan. 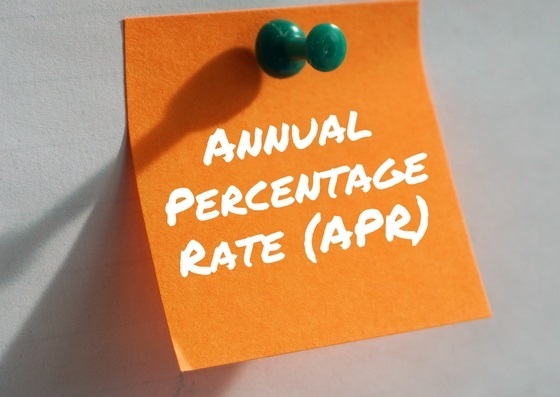 Still, if you're looking at two very close rates, make sure to examine closely what's included in the APR calculation. Some lenders might not be including things that other lenders are. So which number is more important, the interest rate or APR? If you want to make sure you get the best loan for your situation, it's important to look at both. "The reason you should look at both numbers is that if you just stick to the interest rate, you may not know about the fees associated with your loan," explains Lerner. "If you focus only on the APR, you could miss out on a lower interest rate." Keep in mind that the fees that are included in the APR are paid at closing. In contrast, your interest rate is what you'll pay over the life of your loan—which could last as long as 30 years, points out Stephen Rybak, a senior vice president with Guardhill Financial in New York. Having a hard time choosing between loans based on the interest rate versus APR? If you have the cash upfront but would prefer to have a lower monthly mortgage payment, it might be worth it to you to shop for the lowest interest rate, even if the APR is slightly higher. In 10 years, you'll be thankful for that lower interest when you're paying a smaller mortgage bill. On the other hand, if you need all your cash on hand for the down payment, you might need to pay a slightly higher interest rate with fewer fees at closing. It also matters how long you plan to stay in the house. Every loan has a "break-even point," where the extra fees you paid upfront are balanced out by a lower interest rate. If your break-even point for a higher APR/lower interest rate loan is seven years, but you plan to sell the house in five, you're getting a better deal with a higher interest rate/lower-fee loan. In the end, to get the best deal on a home loan, you'll want to look at the interest rate, APR, and any details you can get about what fees have been included (or perhaps more importantly, not included) in those numbers.